Teeth whitening is one of the most popular cosmetic dental treatments available. It’s a quick and simple way to boost your smile, and can be the perfect treatment before a special occasion, such as a family gathering or wedding. The single most important thing for patients considering teeth whitening treatment to remember is that the treatment must be carried out by a qualified dentist. While there are home teeth whitening products available online, these will not be of the standard used by dental practices and could in fact damage your teeth, leading to discomfort, pain and potentially expensive restorative dental treatment. 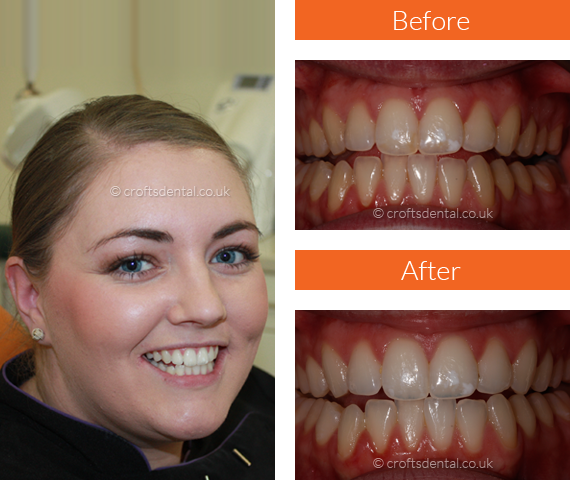 All teeth whitening products used by Crofts Dental Practice are tried, tested and safe. 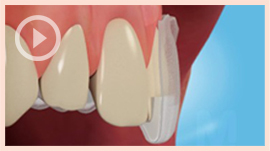 We use no harsh abrasive products in our whitening systems, and there is no harmful stripping of enamel involved. It is also important that teeth whitening is carried out on healthy teeth, as decay, worn teeth and leaky fillings can cause problems. That’s why you need to be examined by a dentist before treatment and have any of these problems corrected first if necessary. Some celebrities have been mocked for having smiles that appear “too white”, more like the keys of a piano than natural teeth. With our professionally-administered teeth whitening systems, this will not happen. Instead, natural teeth that have been whitened sensibly will appear cleaner and brighter. Exact shades will vary from patient to patient and will depend on the system chosen. Amongst others, we use the tried and tested Zoom and Enlighten teeth whitening systems at Crofts Dental Practice. Crofts Dental Practice offer both at-home and in-office teeth whitening, along with a combination of both. Home teeth whitening involves the use of custom-made whitening trays and whitening gel, which is worn overnight or for short periods of time during the day, for a period of time to suit you. In-office teeth whitening uses specially formulated hydrogen peroxide gel, which is placed on the teeth and activated by a special light to penetrate and remove stains. Combination whitening uses both the in-office and home systems to achieve a long-lasting result. Results can last for several months, and you won’t need to invest again in a lengthy whitening system. Instead, you can top up as needed with the custom-made trays. Our cosmetically trained dentists will sit with you and discuss the various options in order to tailor-make a plan best suited to you.